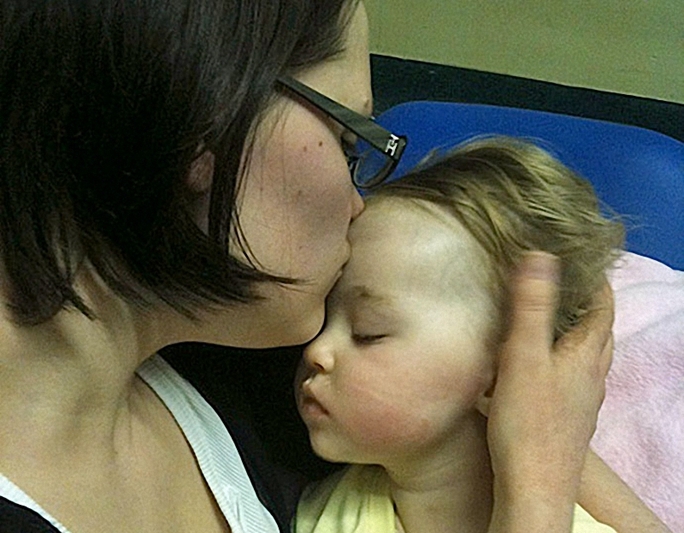 Doctors unplugged all life supporting devices for this little girl as there was no more hope. 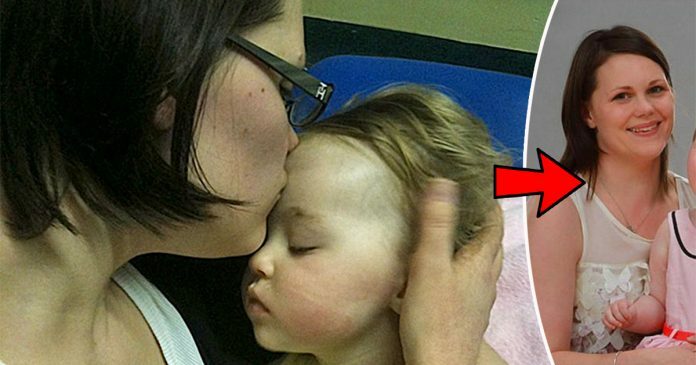 When her mother gave her a final kiss, suddenly a miracle happened! 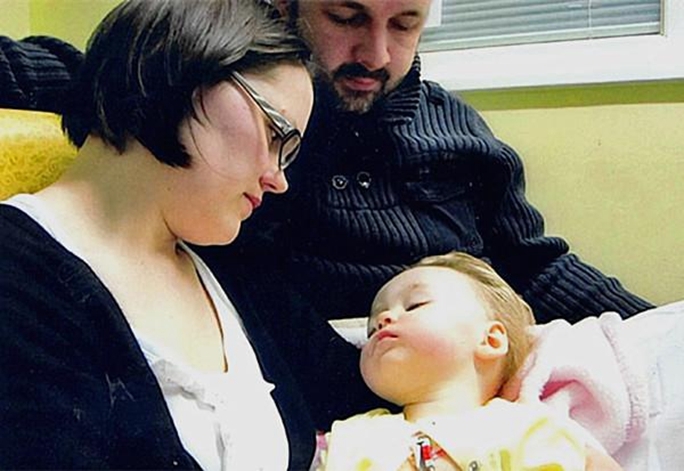 A 14-month-old baby girl, Alice, from England was said to be the world’s luckiest little girl. 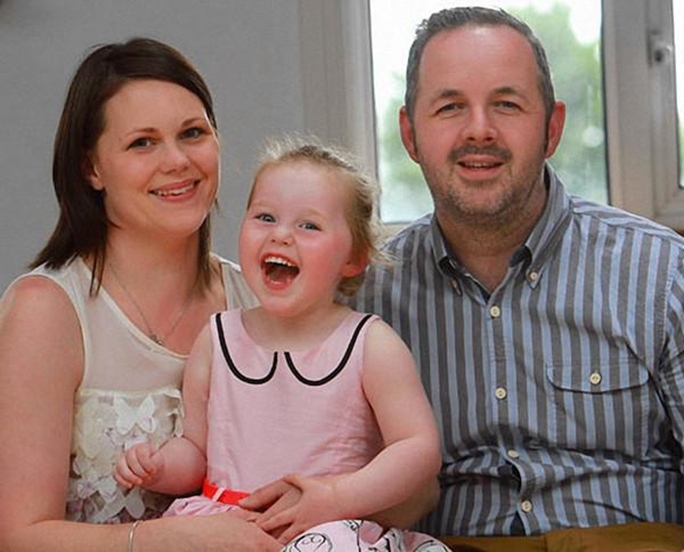 She was diagnosed with a life-threatening condition but was unable to recover from the illness. 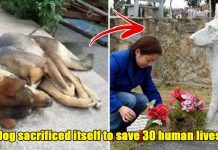 However, a miracle happened when she was on the verge of death! When she was admitted to the hospital, she was diagnosed with epidemic cerebrospinal meningitis. Her condition continued to deteriorate over time and caused her to experience stroke, septicemia, renal failure and other serious complications. 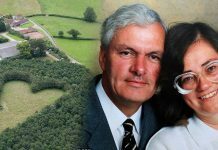 A few months later, doctors came to a decision and told that Alice’s sickness was beyond modern medication’s help and advised Alice’s family members to turn off Alice’s life support to stop her sufferings. After hearing the doctors’ suggestion, Alice’s teary-eyed family sadly gathered around her to bid her farewell. 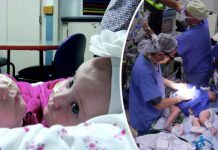 After doctors turned off the life support, Alice’s mother gently picked Alice up to kiss her little daughter for the final time. However, to their surprise, a miracle happened! Alice suddenly started to breathe on her own! The doctors who were present at the time were also surprised by the miracle! After the ordeal with epidemic cerebrospinal meningitis, she was left with a series of sequelae. Alice could not consume solid foods so she has to be fed liquid foods through a feeding tube, the growth of her legs are unequal, her speech was impaired but these did not prevent her from moving around. One day, Alice suddenly spoke her first word: “Mummy!” Alice’s mother was so happy that tears rolled down her cheeks when she heard Alice’s first word. Alice’s mother said: “Every night when my daughter is about to sleep, I would always think about our happiness of being together. Especially when she finally called me ‘Mummy’!”. Definitely, a mother’s love knows no boundaries. Perhaps, her mother’s endless love and prayers were what helped Alice to keep going and survived the sufferings. 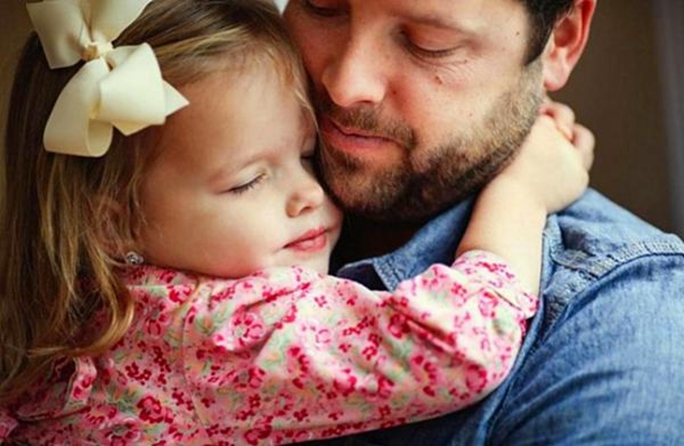 After reading this article, we cannot help but feel the greatness of maternal love. Let us wish that little Alice and her family would lead a happy life together! Previous articleVenezuela’s currency has become so weak, locals would rather weave bags using their money as they are worth more!